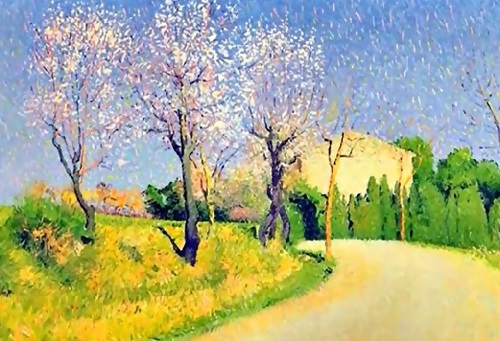 French painter Achille Lauge (August 29, 1861 – June 2, 1944) was neo-impressionist and pointillist. He was born into a peasant family who intended to become a pharmacist. 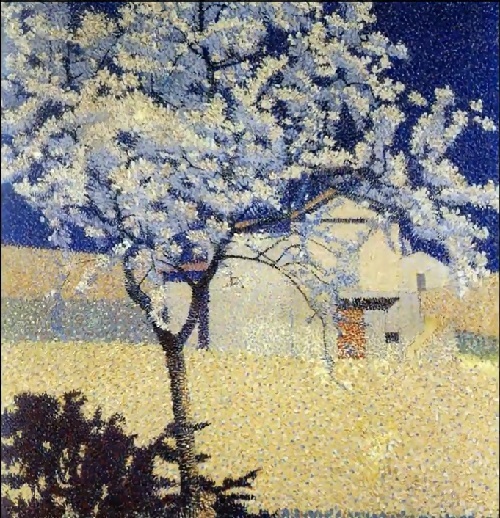 Achille Lauge was a trainee in a city pharmacy while attended the Fine Arts school in Toulouse from 1876 to 1881. 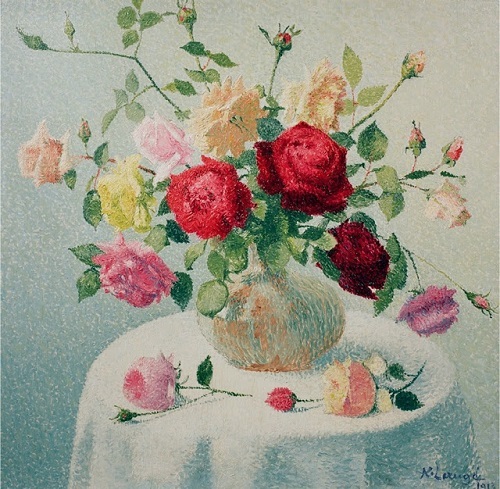 This is where he made ​​the acquaintance of French sculptors and painters Antoine Bourdelle, Henri Jean Guillaume Martin and Henri Marre. He remained in relationship with them all his life. 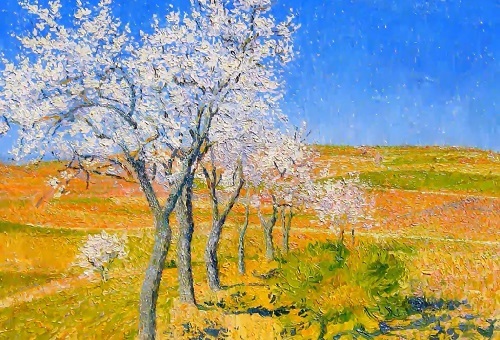 In 1882, Achille Lauge came to Paris where he joined the National School of Fine Arts. Achille Lauge was poor, he gratefully accepted the garret at 24 rue Bonaparte in the workshop and remained in the capital until 1888. 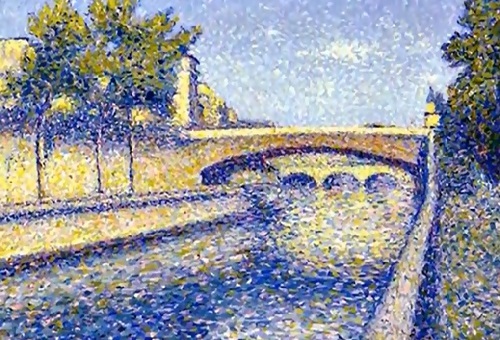 During this period he did not merely listen to the conservative ideals of his masters, but the works of Seurat, Paul Signac, Pissarro inspired him. 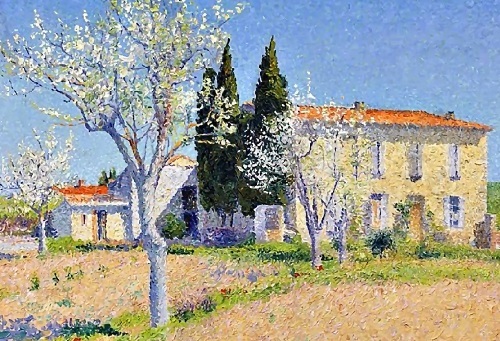 Achille Lauge returned to his family in the south of France and remained there for the rest of his life. He did not follow the technique learned in the workshop. 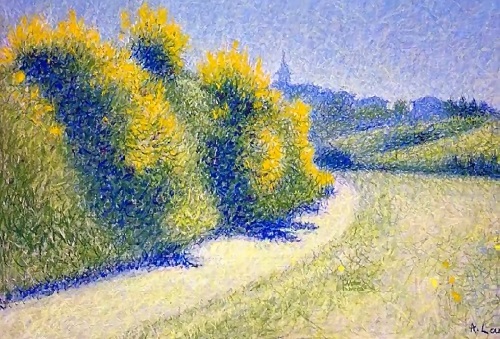 He first worked in Carcassonne Street Gardens, his way of painting surprised. 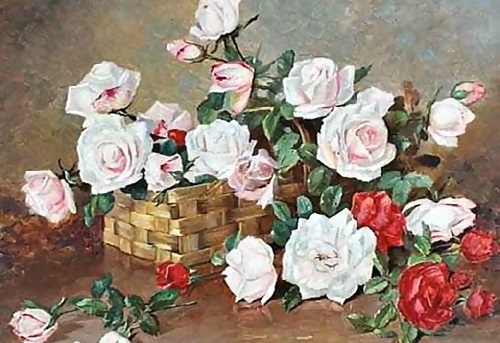 Having married in 1891, with a young local girl Marie Agnes Boyer he had four children: Peter 1892, Juliette 1894, Jeanne 1896, and Julien 1900. 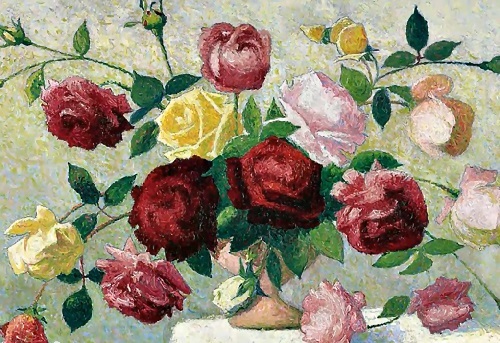 He had to sell one of his best paintings, “The plight of Couffoulens” to buy a wedding dress. 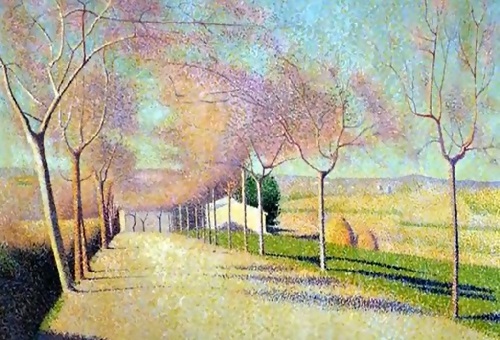 In 1894 he exhibited his three pointillism paintings at the Salon des Independants. The works got the critical reactions – he was taken for a fool or a joker. Journal Trouville wrote: “Carcassonne wanted to impress Paris.” The same year, the newspaper La Depeche had criticized other artists. 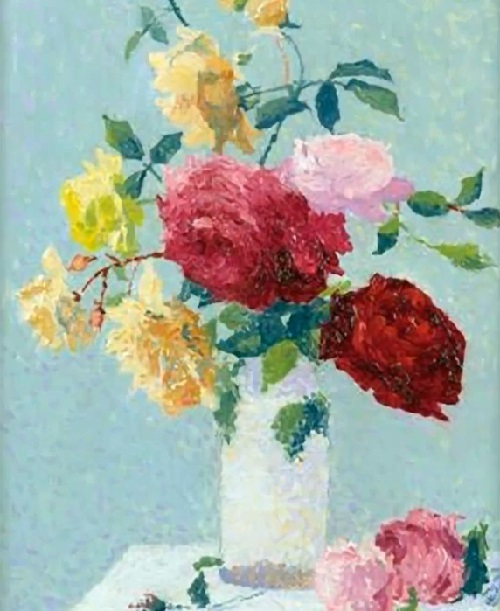 The list alongside with Achille Lauge included: Louis Anquetin, Bonnard, Maurice Denis, Henri-Gabriel Ibels, Paul René, Maxime Maufra, Roussel, Serusier, Toulouse-Lautrec, Valloton Felix, Edouard Vuillard. Lauge was in good company! 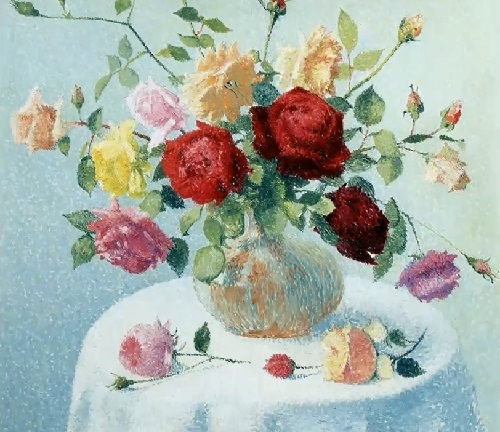 From 1888 until around 1896, Lauge composed his pictures with small dots of color. 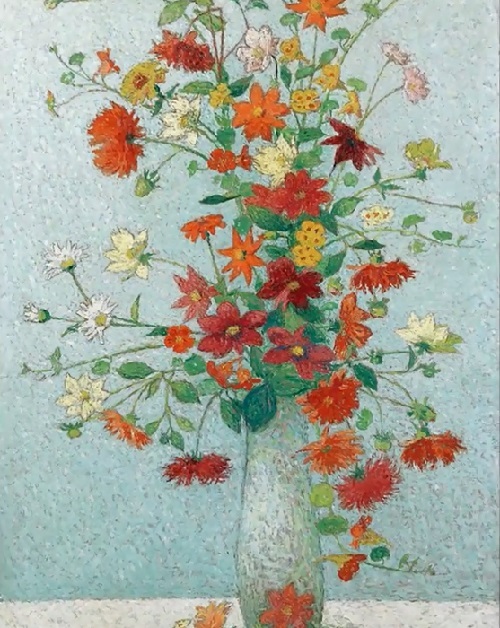 He then abandoned dots and painted landscapes, portraits and still lifes with thin, systematically placed strokes resembling crosshatching. 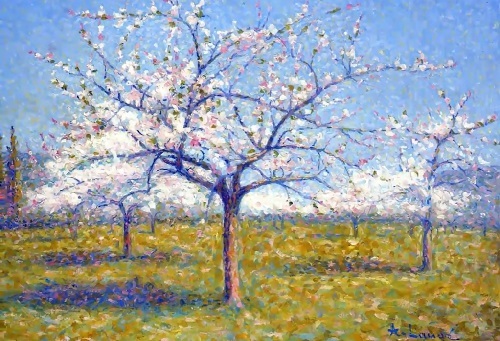 After 1905 he applied the pigments more freely with enlarged strokes and a thick impasto. 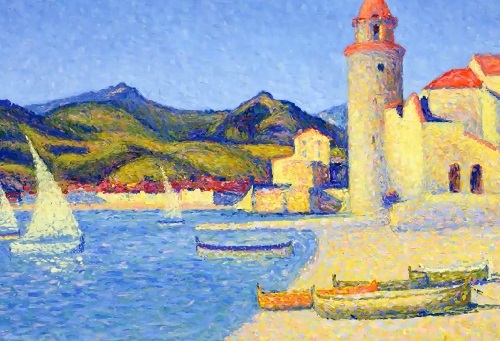 It was not until the 1968 Guggenheim shows that Lauge was included in an exhibition devoted to Neo-Impressionism. 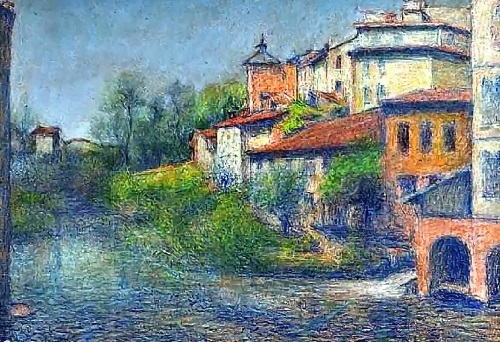 He did however exhibit three paintings with the Indépendants in 1894 and with the Nabis at an exhibition sponsored by the newspaper La Dépêche de Toulouse the same year. 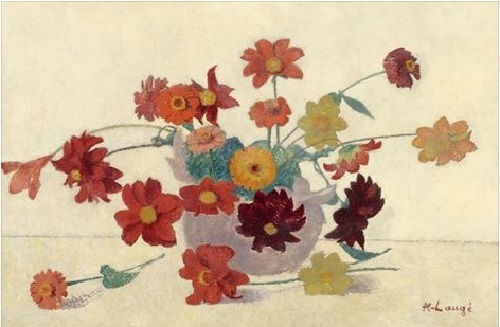 In addition, Lauge held several one man shows in Paris, in Toulouse and in Perpignan from 1907 to 1930. 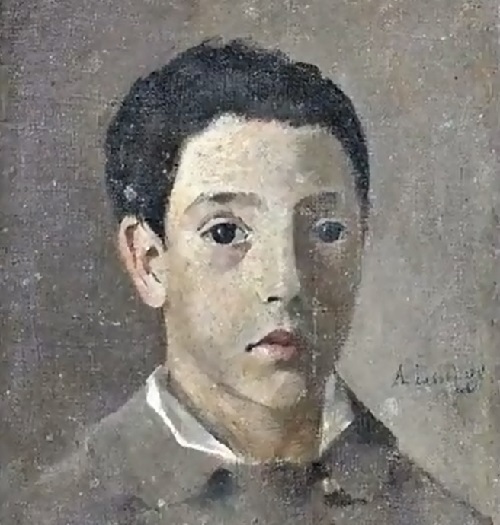 After the death of his father, Achille Lauge moved to Cailhau in the region Razes. He chose a simple life and he helped the village mason to build a modest house (Alouette). It is around this house he found the best source of inspiration. 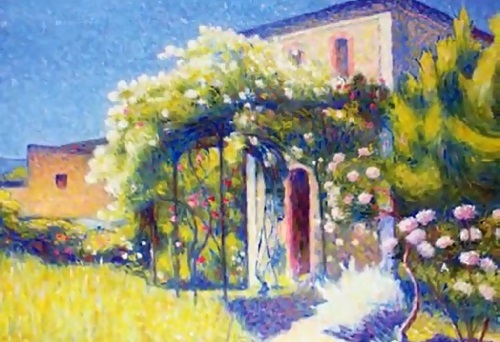 As Monet had a boat shop, he had a wagon workshop, in which he painted en plein air, depicting what he had seen. 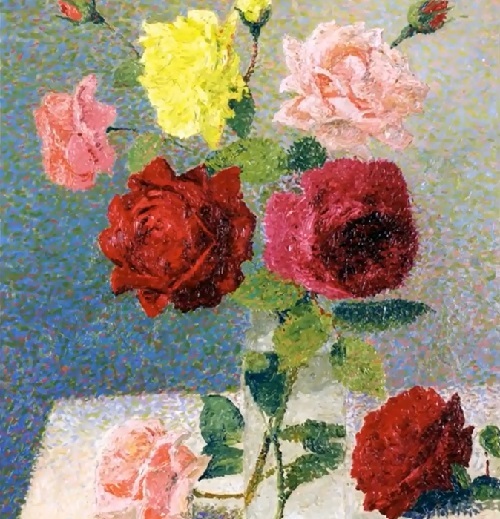 Lauge used a pointillist technique of “confetti” and then, above all, hatches. 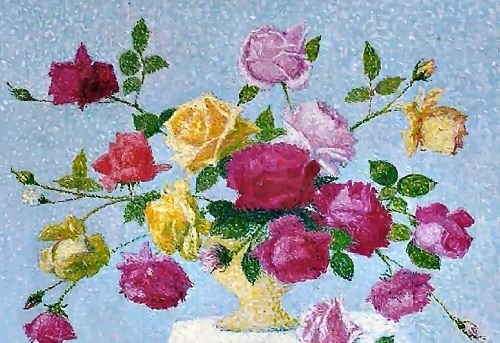 In 1900, he sent to the Salon of the National a beautiful pointillist painting “front window” where there were like three aspects of his talent, two figures, flowers and a landscape that he saw from the window of his studio. 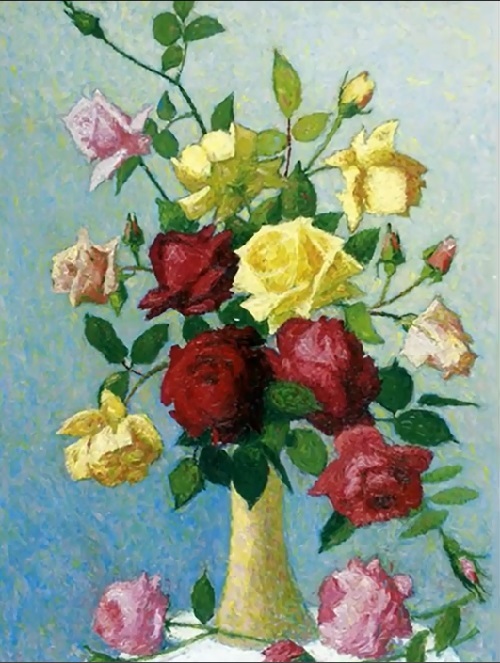 The painting was rejected, as in 1908 another painting presented at the Salon d’Automne. 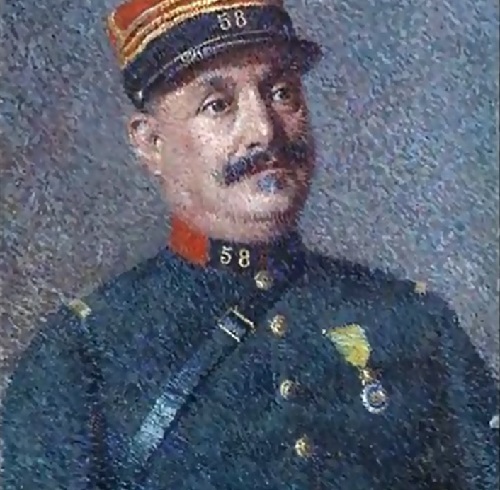 Achille Lauge died in Cailhau June 2, 1944, the same year as his friend Maillol. 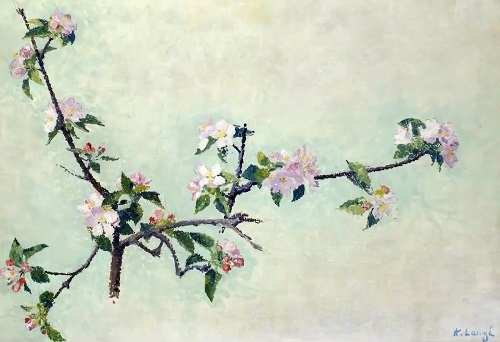 Retrospectives of his work were organized all over the world from 1958 and 1969 (1958 in the local museum of Limoux, 1961 in Toulouse, 1966 in London, 1967 in New York, 1968 in London again and 1969 in Paris).